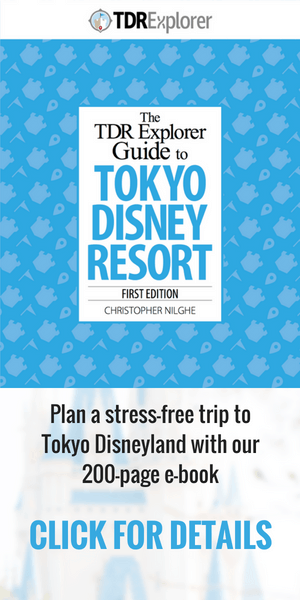 You find yourself at Tokyo Disneyland in your best “Minnie Oh! Minnie” costume and are in the mood for a snack. 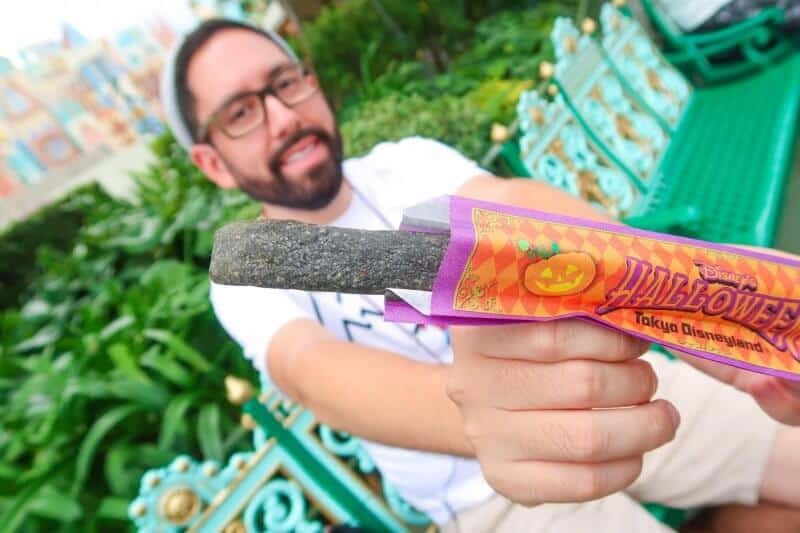 To save you time, money, and taste buds, I’ve come up with my top 5 best Halloween snacks you’ll find at Tokyo Disneyland (read here for Tokyo DisneySea). The combination sounds strange, but it works. You can’t go wrong with chicken and the pumpkin gives it a creamy texture. As a bonus, the packaging is the best one out of the snacks here! 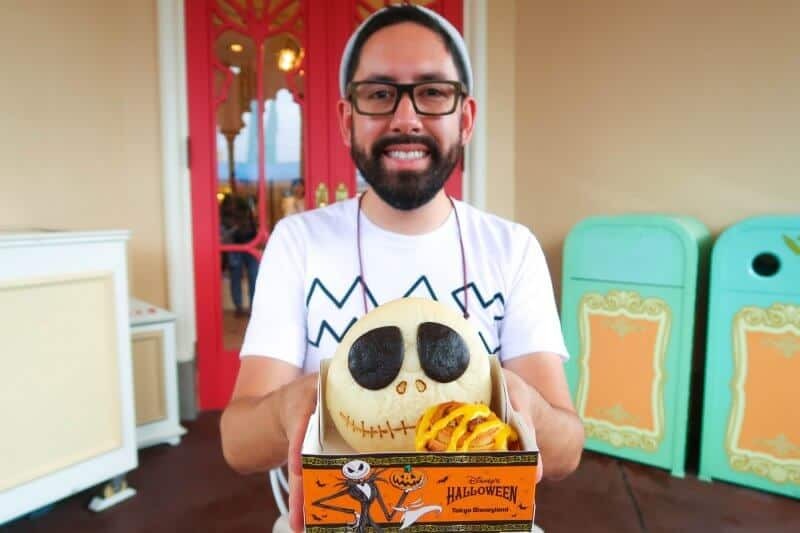 I am a cheesecake connoisseur (at least I pretend) and while this doesn’t give off the Halloween vibe as much as the other snacks on this list, I had to include it. 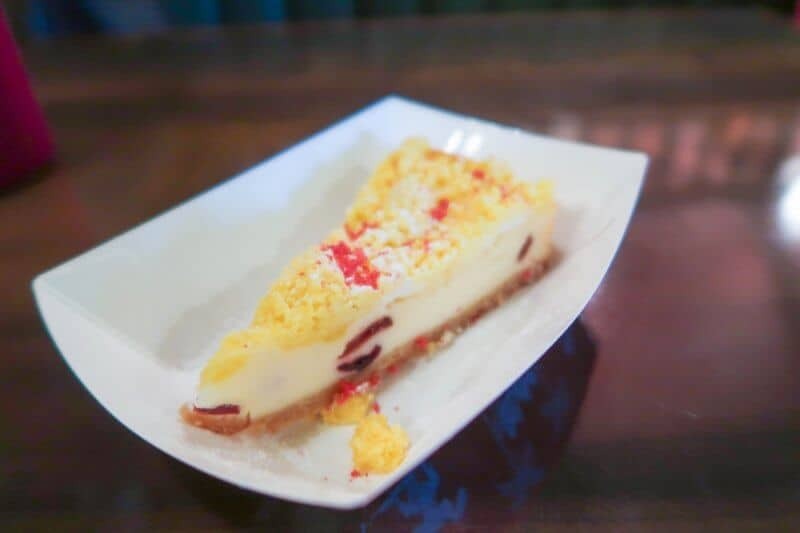 It’s cheesecake with cranberry inside, what’s not to love? This is a popular snack and garners a long line on the busy days, but it’s worth it. The Black Tipo Torta is a warm and flakey pastry filled with cream cheese (I am a huge fan of cheese if you haven’t noticed) and blueberry. To top it all off, it’s also appropriately tinted to match the colour palette of the season. 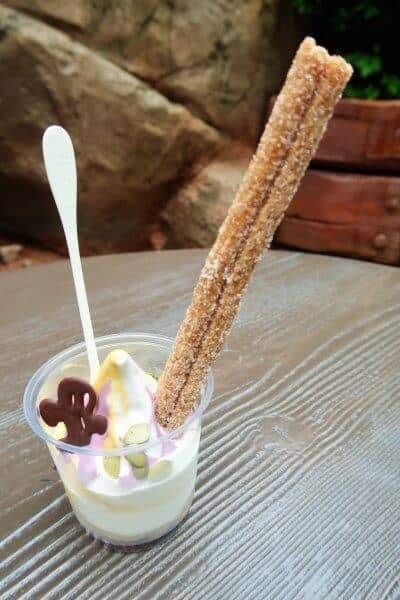 This dessert has quite a bit inside (seeds, soft serve, churro, chocolate crunchy bits, & corn flakes). 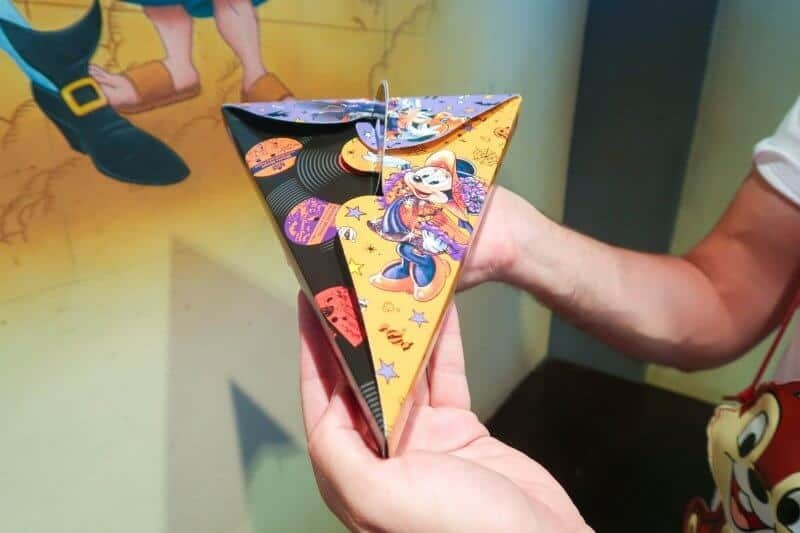 The cute ghost chocolate and colours are fun and the extra Mickey Mouse Churro (cinnamon) adds to the overall “let’s throw as much in this as possible”. The pumpkin and milk (not vanilla) soft serve is the best part. It’s hard to deny how fantastic this snack is. 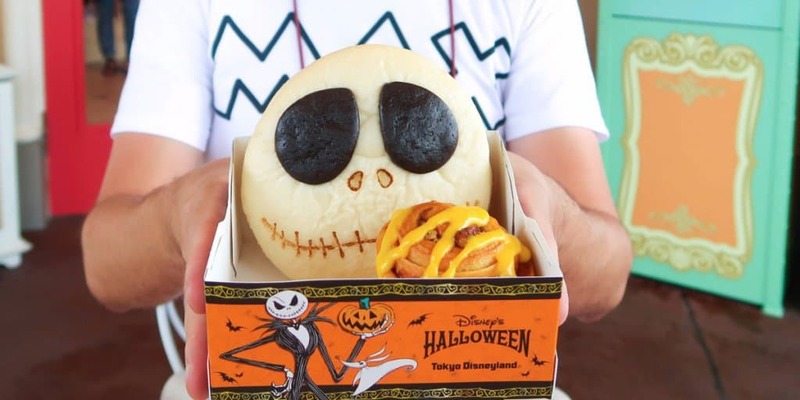 It’s curry bread (with minced meat inside) that’s shaped as Jack Skellington, complete with chocolate-flavoured eyes. It also comes with a delicious cinnamon roll with pumpkin drizzled on the top. 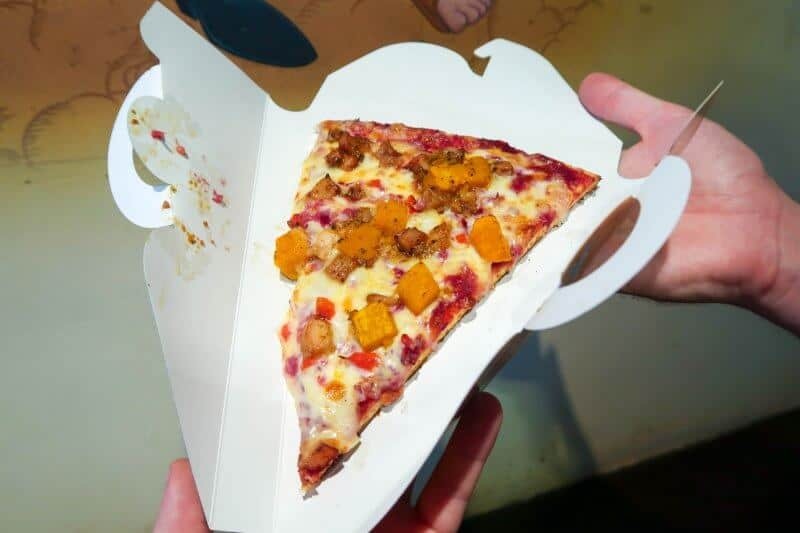 The portion size is quite large, which makes this easy to share.